Amy is the founder and president of Platinum Weddings and Events (formerly Amy's Platinum Weddings Coordinating and Consulting Firm), located in Austin, Texas. She doesn't just know how to coordinate events - she's the founder and president of the only state-licensed vocational school for wedding consultants: Nuptial Essentials Curriculum and Instruction, LLC (NECI), and heads the Nuptial Essentials Association of Wedding Professionals (NEAWP). 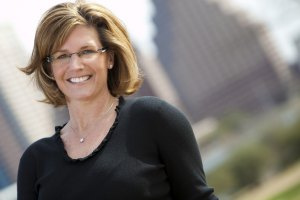 She has designed and coordinated upscale and celebrity weddings and events throughout the Austin area since 1997. She's been featured in national and local media, including Brides Magazine, The Knot, Modern Bride, Austin Wedding Guide, Lifetime Television's series, My Best Friend's Wedding, and more. With over 25 years of extensive wedding industry experience, Amy brings an unusual depth and breadth of knowledge to event and wedding planning. She began at age 15, working in her grandparents' bridal salon, where her gracious manner, meticulous organization, and efficiency led to managing the largest bridal salon in Southwestern Wisconsin. That led into coordinating multiple weddings in the Wisconsin area. After college graduation, she and her husband relocated to Austin, where she managed Adrian's Bridal Salon for a year before beginning her own wedding consulting firm in 1997. She is an active member in several professional organizations and earned her specialized training through Weddings Beautiful (1997), Wedding Careers Institute, Inc. (1999), and Nuptial Essentials Curriculum and Instruction (2005). Amy is an active volunteer and advocate for children through her work on the boards of several organizations.